Size: approx. 10 mm. Photo: 09/13/11, 11 pm. 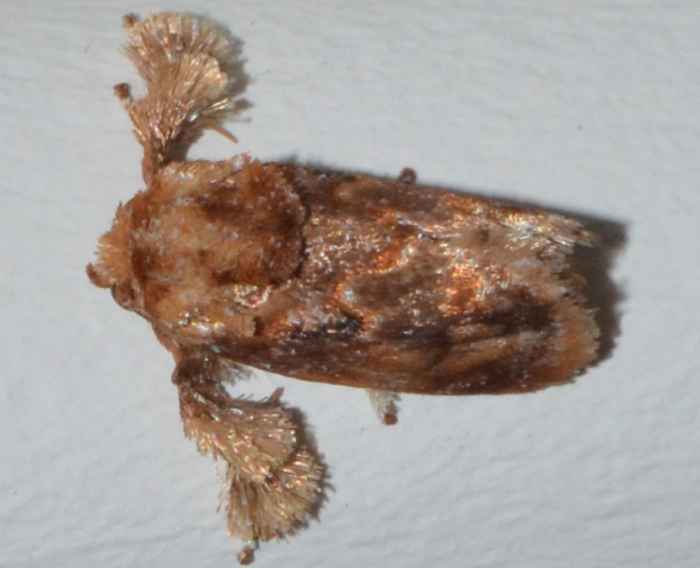 Beutenmueller's Slug Moth (Isochaetes beutenmuelleri). Long name, strange moth. This one came to the light of our living room window.